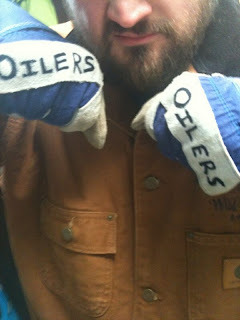 my buddy ken$$'s "nhlpa approved" oilers merch. coupled with eberle, this is almost enough to make me like the greasers. flames v. preds: who cares, my JERSEY'S HERE !!! goals ? what goals ? an explanation on why i despise my team, part 2.